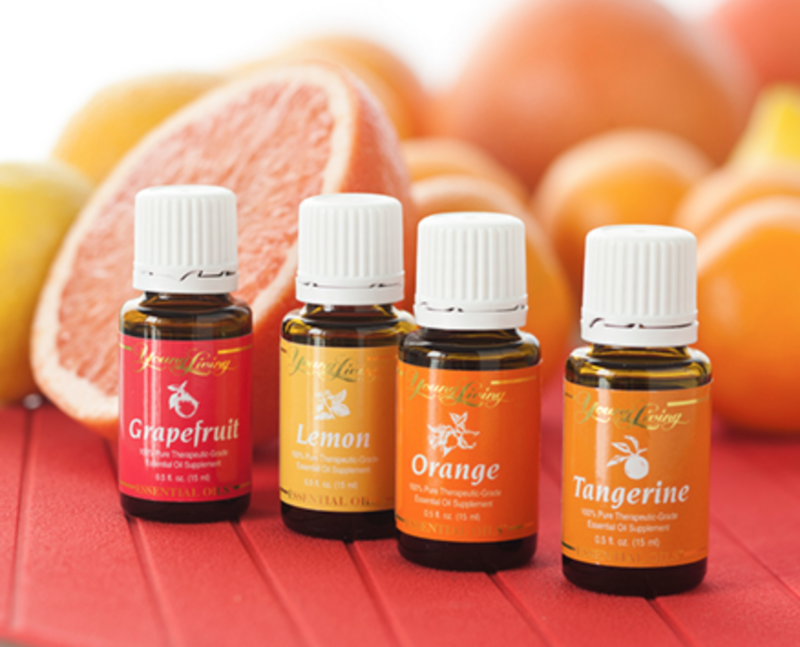 Essential oils have quickly made themselves a staple in many people's homes - and they sure have in ours! These oils carry with them an almost countless number of benefits ​and can really bring positive changes into many people's lives. These powerful aromatic oils were used in ancient times to cure all sorts of maladies, and today, many people are now realizing the therapeutic effects. If you want to get real technical, an essential oil is a concentrated hydrophobic liquid containing volatile oils - the oils from the plant they were extracted. These oils contain the "essence" of the plant and contain a wide range of therapeutic and medicinally relevant compounds. There's more to it than that, and a cool history as well which you can read more about in this article. As a result of their recent popularity, there has been an explosion of new companies - big and small - hustling to be a part of this g-oil-d rush. And for someone looking to buy essential oils (like you and I), that's a great thing! ...and also a bad thing. Many different brands of essential oils means a) much more variety in the oils available and b) a less expensive product (good ol' supply and demand..). However! With so many different companies trying to stake their claim, you also have many more to choose from, and these can be difficult waters to navigate. What companies produce the highest quality oils? Which ones are organic? Non-GMO? What companies produce the cheapest essential oils? Or the best bang for your buck? All questions you've likely had (or will have soon). How do we know? Because we had them too, hence our desire to start AromEssential in the first place! There are a few key factors that we look at when reviewing essential oil brands. Every company is unique, and as a result their final products are equally individual. The starting materials, processes, storage, quality assurance and packaging of each company can differ drastically and so it's important to take into account all of these things. Here's what we look for most when deciding what brand we want to provide our business to. This is arguably the most important thing to consider when buying from a new brand - apart from Purity. And as you would imagine, it's one of the factors that varies most widely in the industry. The reason being, there is no governing body that moderates and regulates the essential oil industry. Whether you're using oils topically or diffusing them, you want to make sure you're getting what you pay for. 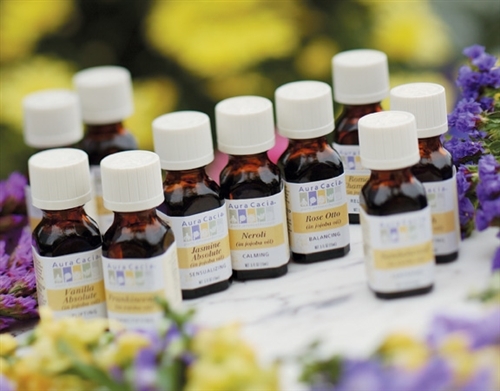 The quality of essential oils is a difficult thing to measure, without expensive machines. However, there are a few easy ways to tell that you've received a good quality product. One of the most important predictors of a good essential oil is the source plant. Where these plants are harvested, what part of the plant is harvested, even where and how the plant was grown will ultimately have an effect on the quality of the resultant final product. 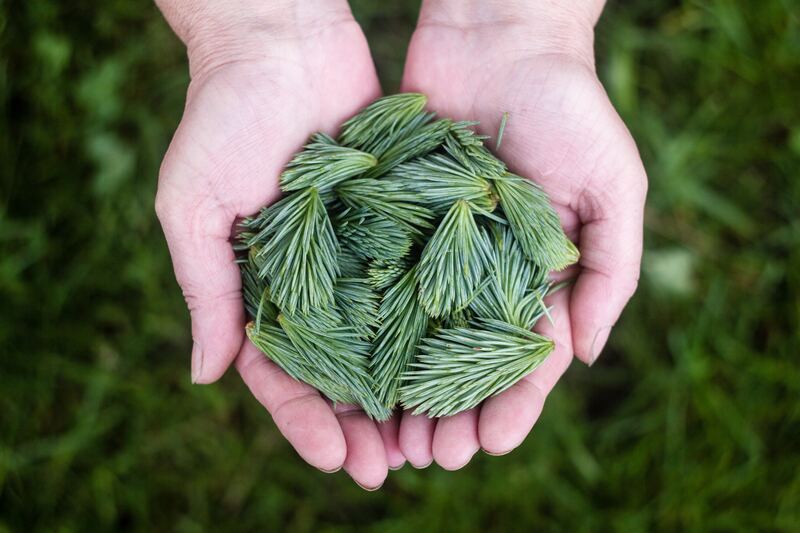 Does a company use the twigs of a cedar tree to produce their Cedarwood oil? Or are they using the needles, where all the terpenes and other valuable compounds are? There are more than 40 species of Lavender in the world, and each one will technically produce a different distilled oil. Look for the latin name of the plant species used, and the exact source of plant when researching a specific oil: you want plants sourced from areas of the world they are actually native to. How a company processes a plant into oil will have a major effect on the final product. What method of distillation are they using? Steam distillation? Cold-Press distillation? CO2 extraction? Do they use solvents? Some solvents can be left behind in the final product and produce unwanted side effects. Some plants produce better oils from different extraction methods, so that's something else to consider too! Most oils these days are produced via steam distillation, which produces good quality oils at a reasonable cost. Watch for if a company is using solvent extraction methods! Unlike wine, essential oils do NOT get better with age. Unfortunately, the complex organic compounds found in essential oils do degrade over time, and are also accelerated by a few different factors too. There isn't much you can do about a company's internal storage methods, but you can check the labels when you receive your oil and if it's not a relatively fresh/recent batch, you may want to consider contacting the supplier for an exchange. Essential oils also degrade from heat, light and oxygen. So, oils should be stored in a dark container, with a pour stopper and lid (limits oxygen contact) and in a cool place. If your oils arrive in a clear container, that's a big no-no on that company's side. The purity of oils is also a difficult variable to scrutinize without expensive equipment like a ~$70,000 gas chromatography-mass spectrometry instrument. Luckily for us, there are a few cheaper ways to quickly estimate if you've got pure oil or snake oil. Some factors that can affect the purity of your oils include diluting with carrier oils or adding synthetic compounds. Contaminants such as heavy metals and pesticides can also affect the purity of the oils so try and choose a brand that is up front about their pesticide use and quality assurance methods. In general, you'll want a product that claims it is "100% Pure" to be sure it hasn't been diluted. The "Paper Test" is the quickest an easiest way to tell if your essential oil is pure and undiluted. Essential oils aren't actually oily in the same sense that other oils like coconut, olive or grapeseed oils are. Take a piece of paper and put a drop of cooking oil in one spot, and a drop of essential oil on the other end of the page (label or circle where you put the drop). Leave it overnight and come morning, if you've got a pure essential oil there should be no oily mark or ring where you dropped it, compared to the greasy ring left from your cooking oil. If your essential oil leaves a mark, it's likely been diluted with a carrier oil of some sort. Again, this is not a perfect test, and can vary depending on the essential oil (some are greasier than others) but it's a quick and easy way to check. This might be obvious, but a good way to know if you're oil is pure is how it smells! Diluted oils won't pack nearly the same punch as a pure oil does. So if your chosen oil doesn't really deliver in the aroma department like you thought it would, it's worth considering it may not be as pure as you wanted it to be. Essential oils are highly distilled and concentrated and so are quite powerful. 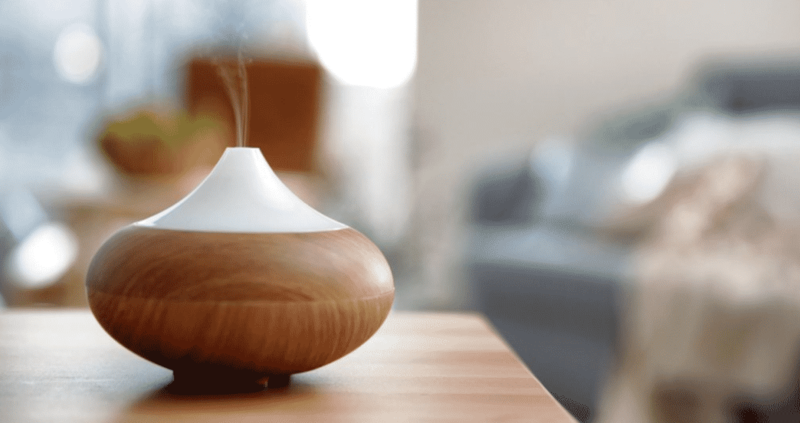 If you need more than just a few drops in your diffuser it could be a sign you've got poor quality oil. Price is always a talking point with a product like essential oils. What we've found is that in general, in the essential oil industry at least, the assumption that a more expensive product is a higher quality product actually holds true. It's expensive to source ingredients, process and store essential oils properly and unless you're doing so in enormous quantities, it will be hard to keep your costs extremely low. While larger companies may produce a cheaper oil with good quality, there are some small companies started by folks just like you and I that are producing great quality oils, albeit at maybe a slightly higher cost. For some, price is everything and always prefer the cheapest option. But for essential oils, you may need to balance your desire to save money with the reality that you may be cheating yourself on quality. Be wary of products that are significantly cheaper than the others, and likewise of the premium brands on the other end. At some point you'll likely just be paying for marketing. 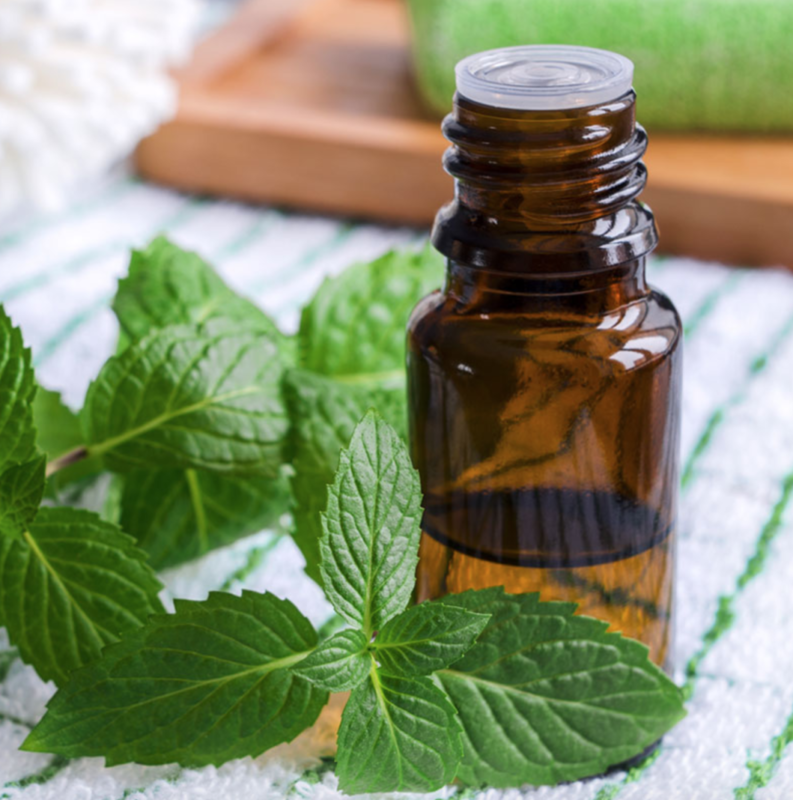 Thanks to the rapidly increasing popularity of essential oils, many companies already do offer a wide range of "flavours" so finding your favourite will be easy. In general, larger companies are able to provide a broader array of oils, so it is something to consider when choosing a brand. 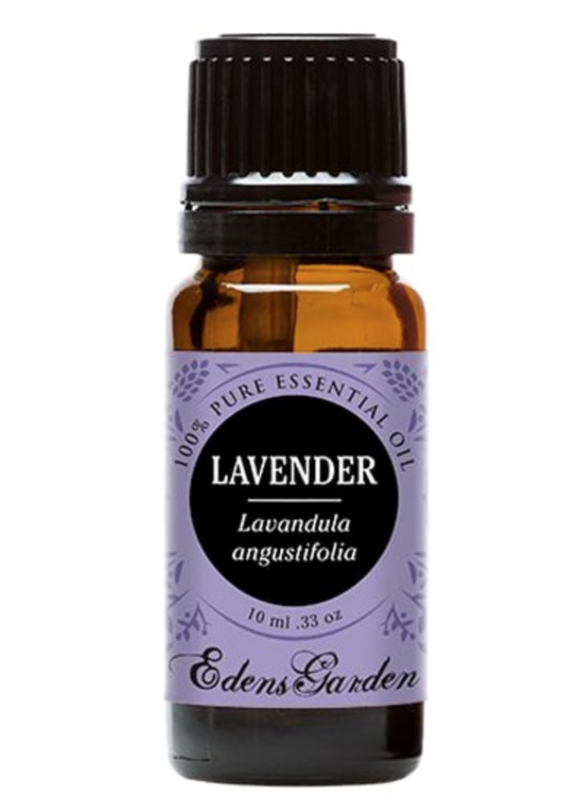 That being said, there are typically a few most popular oils that even smaller companies will carry: the lavenders, cedar woods, citruses, eucalyptuses etc. If you like to mix it up and use various different aromas, look for brands with a large selection. If you're like us and have a few favourites, it's not really something to worry too much about since even the smaller brands will likely have your go-to's. Because the essential oil industry does not currently have a universal governing body, brand reputation and customer reviews reign supreme these days. Most (hopefully all) companies do have their own internal quality control operating procedures, and some claim to have their products tested for quality and purity by third party laboratories. At the end of the day, you want to buy from a reputable ​essential oil company. Here's a few more things we consider when shopping for our oils. This can be a make or break for us when buying our health and beauty products. Even a reputable company can produce a low quality product once in a while, or deliver the wrong item, and can slip through the quality control cracks. If you have a problem with your product, you want to have a company that has a service department that's keen to make sure you're a happy, returning customer, not a service department that is trained to avoid a return at all costs! Not everyone may agree with this one (And that's okay! Everyone is entitled to their own point of view!) but we personally are firm believers. While we are making huge ground in moving away from animal testing, many companies still do perform animal testing with their products. Look for a company that is cruelty free and feel good that you're supporting a company with good morals! Another factor that often affects people's willingness to support a specific company. This isn't the time or place to get into it, but we actually aren't specifically opposed to GMOd plants. We've technically been performing genetic modification for years, which is how we have so many different dog breeds or how cabbage, kale, broccoli and cauliflower are all technically the same species of plant. What we AREN'T in support of is the growing practices of growers that use GMO plants, since the methods used aren't healthy or practical for the plant, environment or farmers. Again, this is a topic for another time, but basically, try to buy non-GMO when you can. Not because it will make you grow an extra limb, but because it's better for both farmers and the environment. Similar to the GMO debate, Organic Certification is something that holds weight with some folks, while others couldn't care less. We always try to buy organic when we can since it's pretty well known that even though some of the Organic label is just marketing fluff, Certified Organic products are well known to be grown with better practice healthier for you, the plants and the environment. ​WoodLot is a premium lifestyle brand based out of Vancouver, Canada. They produce essential oils and other health and beauty products using traditional, handcrafted methods and ethically sourced ingredients. 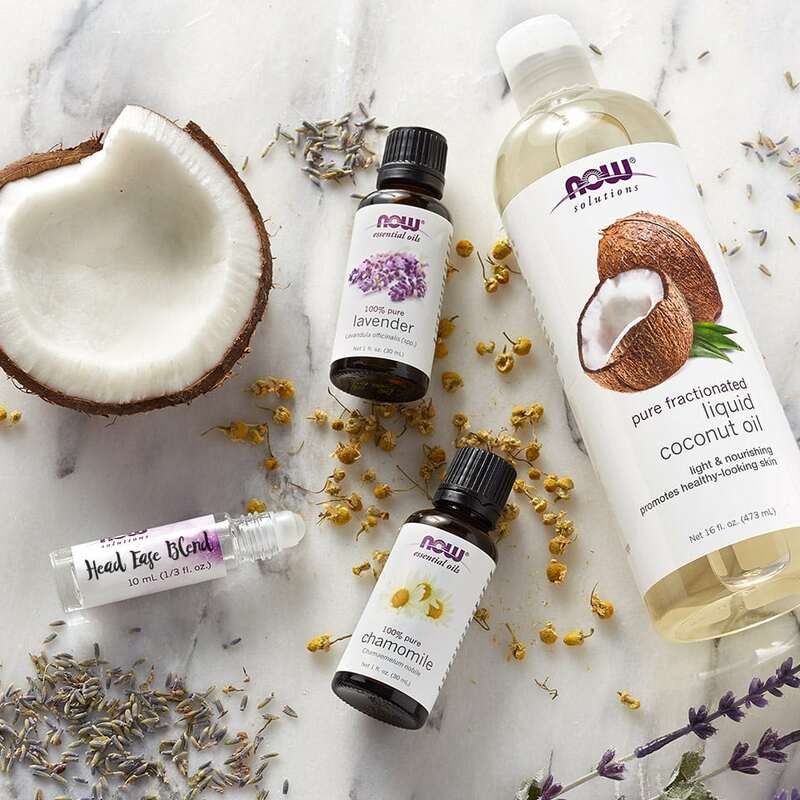 The founders believe in replacing toxic home and body products with natural, handmade alternatives that bring the same health and happiness to their customers that they've found. We absolutely love their philosophy, but also their products and amazing customer service. The quality of WoodLots oils are right up there with the best big players in the industry. Not only do they source the highest quality ingredients from around the world, but they also source these ingredients from ethically produced sources, as their way to give back. The purity of their oils is a harder thing to test, since they only produce blends (more on that below) but the quality is indisputable. The oils are strong and fragrant and only a few drops are needed in your diffuser to get a good whiff of their amazing blends. 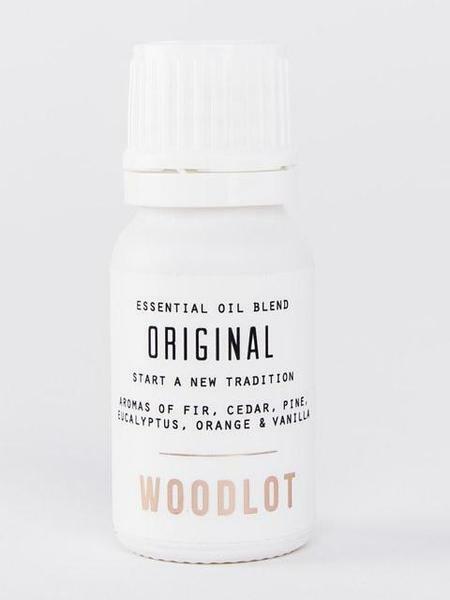 Being a smaller company compared to the other big players on the list, WoodLot actually only currently produces pre-mixed blends of their signature scents. 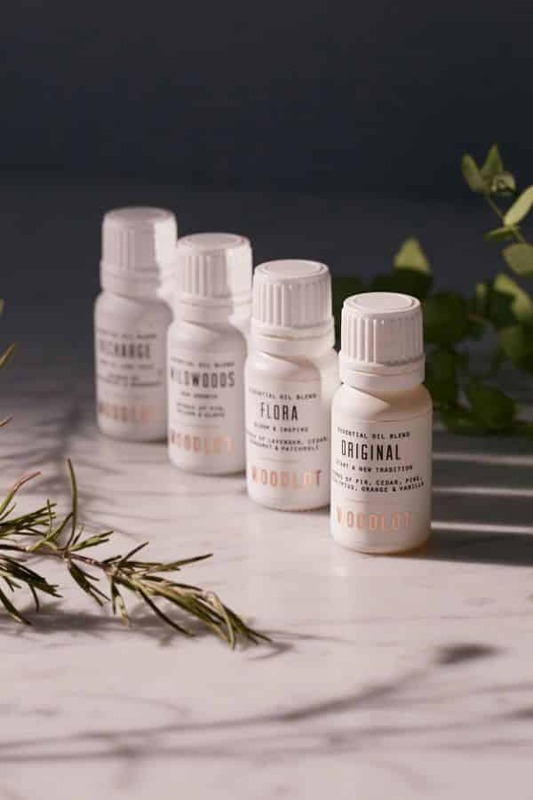 Unlike the larger companies that produce pure isolates of plants such as lavender, clove and balsam fir, WoodLot has perfected a few pre-mixed blends ready for use in your diffuser, baths, or homemade beauty products. Despite being a premium brand their prices are also surprisingly affordable considering they handcraft every product with such impeccable quality. WoodLot is great for those who want pre-made blends, but those who want to do their own experimentation may want to look elsewhere. 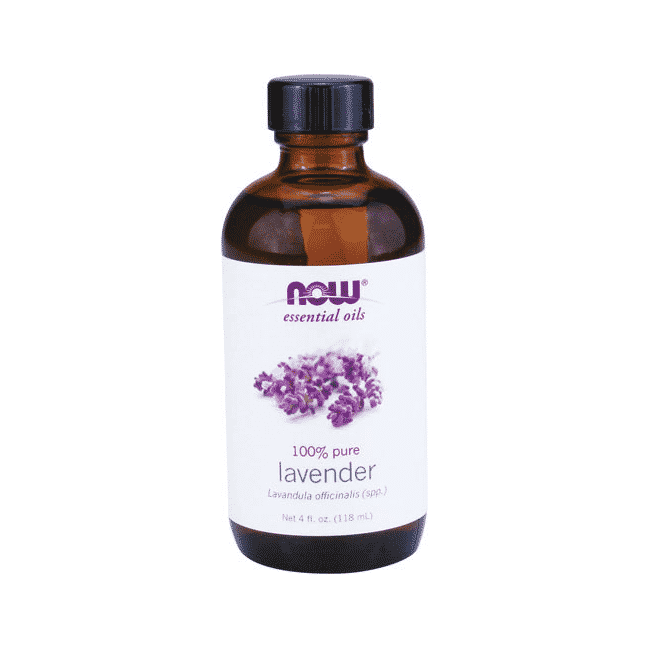 NOW Foods is one of the biggest manufacturers of essential oils in the world. They're also one of the most recognizable brands in the industry, and for good reason. They've been producing massive quantities of high quality essential oils since the 60's! NOW embraces a five core values that aim to empower their customers to live healthy lives by focusing on their staff, quality, value, and a commitment to consistency and ethical practices. NOW employs GMP practices throughout their production, which is an extremely difficult certification to receive. To learn more about GMP, check out this article. NOW Foods ensures that every oil is pure, quality and free of synthetic compounds. As well, they also produce oils that are USDA Certified Organic - For all these reasons, and more that we will outline below, NOW takes the #2 spot on our list. 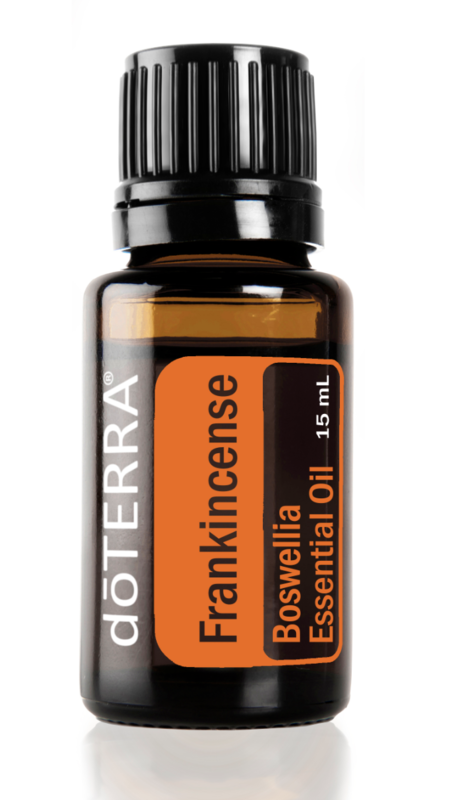 NOW produces some of the best quality essential oils on the market today. Producing a good quality essential oil starts with the source: the plants the aromatics actually come from. NOW has an extensive amount of resources available to them, being such a large and successful company, which allows them to purchase large quantities of some of the finest starting materials. Their size has not however, hampered the quality of their product nor the values that the company abides by. NOW uses steam distillation and cold press extraction for most of their oil production but they also employ some solventless CO2 extraction as well. These methods have been honed and improved on for many years leading to the impressive consistent quality you would expect. These methods paired with strict and thorough quality assurance measures and controls have cemented NOW as one of the most trusted brands in the industry. As mentioned above, NOW is one of the largest companies in the space, and fittingly, they have the selection to back up their size. 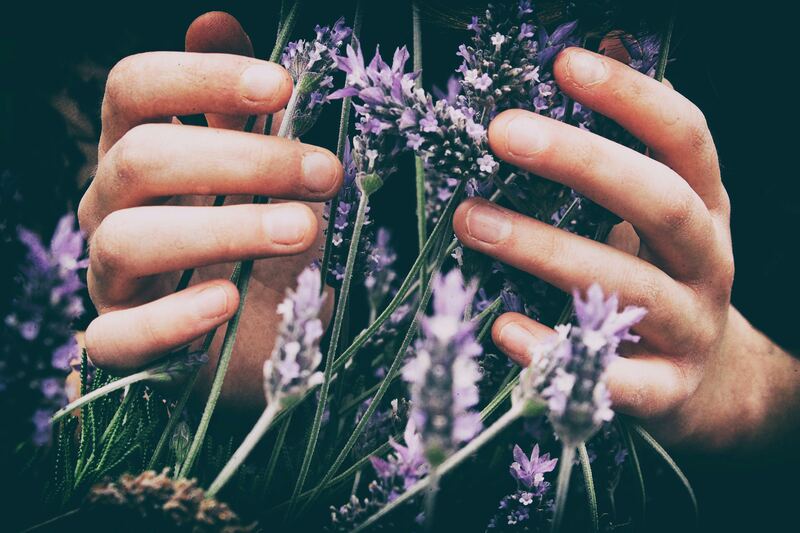 From more commonly used products like eucalyptus and lemon, to more obscure scents such as pennyroyal and juniper berry, they've got an oil for it. As well, they've got some great pre-blended oils that are premixed by their aroma-experts for ailments such as headaches, insomnia and lack of focus. What really makes NOW stand out from its competitors is their USDA Certified Organic oils, which are guaranteed pure, of the highest quality sources and are both made of certified organic materials and manufactured in the same manner - which means even their cleaning products need to be Certified Organic too. As far as price goes, these are the type of oils where you get what you pay for - their Organic oils may be slightly more expensive - but you are getting a great quality product. Industry-wide, these are some of the best priced out there, too so you can't go wrong. Next up on our list is Aura Cacia! Aura Cacia is a unique company compared to the others we are looking at because rather than their organization being structured either as a regular corporation or an MLM (every other EO company in the space), they are actually a subsidiary Frontier Co-Op, a member owned co-operative. Founded back in the 70s, Aura Cacia has been producing great products for decades. They've got a massive selection of oils, sourced from impressive regions around the world and also produce Certified Organic oils. One of the most impressive things about Aura Cacia is their commitment to their craft. Every bottle of oils they produce are guaranteed to have not been tested on animals, contain no synthetic stabilizers, added colors, parabens or petroleum, and are all guaranteed to be 100% pure. Aura Cacia adheres to strict sustainable sourcing practices to ensure that the local communities thrive in the places they source their raw ingredients (from Spain to Australia) and that the plants have time to recuperate and renew. Once harvested, the quality of their finished products reflect the initial standard of their raw ingredients. Aura Cacia also employs impressive quality assurance/control, testing all oils using gas chromatography to insure the pureness, as well as subjecting the finished products to an expert sensory panel that decide whether or not the oil is up to their standard. We toured an Aura Cacia facility previously, and actually witnessed a batch of oil be rejected from the sensory panel, requiring them to adjust their production schedule in order to re-process and refine the oils to bring it up to the accepted quality. A huge extra cost to the company, but one they are willing to pay to maintain their reputation of quality. 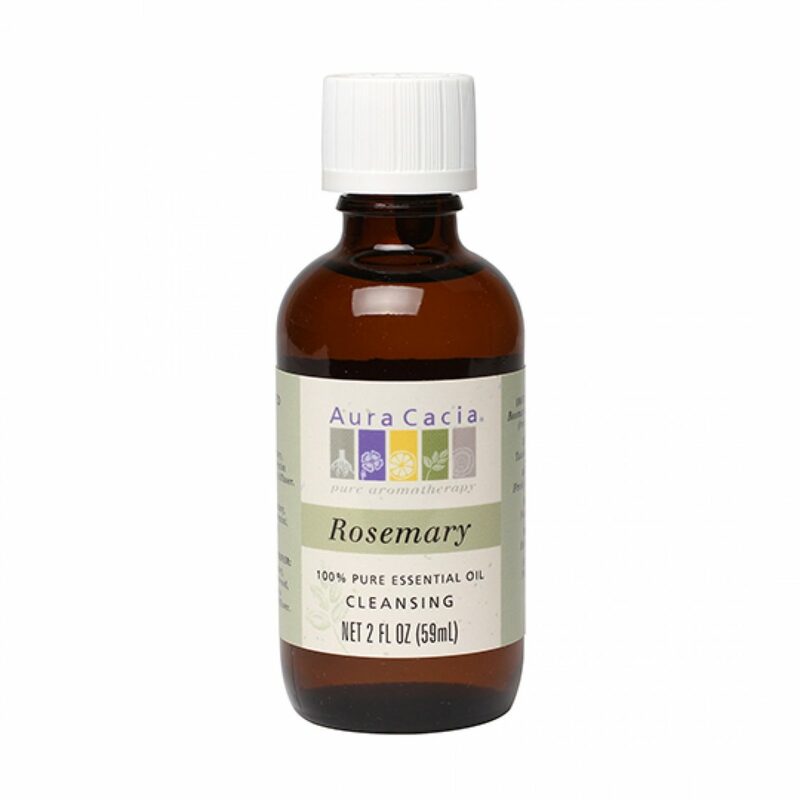 Aura Cacia has a great selection of oils at a price point many folks will be very happy with. Aura Cacia produces USDA Certified Organic oils, which do come with a bit of a stiffer price tag, but we always prefer an organic product for many reasons. First and foremost you know that the source materials were produced organically and even the cleaning products used in their facilities were organic too. [Need Why Organic Article to support here and in other places too]. Our favourite Aura Cacia product is their roll-on kit, which contains a group of essential oils with a roller in place of a dropper to easily roll onto your neck, behind your ears or on your aches and pains to alleviate pain and discomfort stress, or even to improve your focus. It's a super affordable option too! Some of the large companies and manufacturers on our list tend to specialize in what they provide in their products. Whether that's affordability, organic/free trade products, or a just wide and varied selection of oils. Mountain Rose Herbs is unique in that they actually seem to have found a way to establish themselves as a leader in all three of those categories. 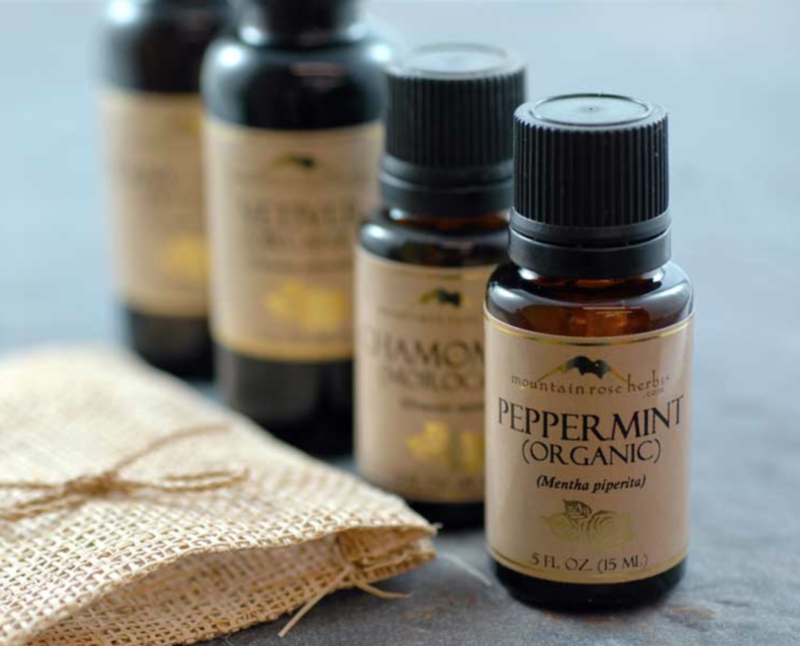 Mountain Rose Herbs has made a commitment to the environment and their consumers by producing and sourcing ingredients exclusively from organic and free trade sources. They understand the importance of sustainable practices in all areas from seed to sale: the soil, water, plants and the farms that their raw ingredients are sourced from, and safe and sustainable production methods. But, none of this really matters if they aren't producing a quality product that works, so let's dive in to that part of the equation now! We also say that the final quality of any essential oil starts from the raw materials used. This is where Mountain Rose has a huge advantage compared to other companies: they employ a strict organic program to ensure only the highest quality of sources. 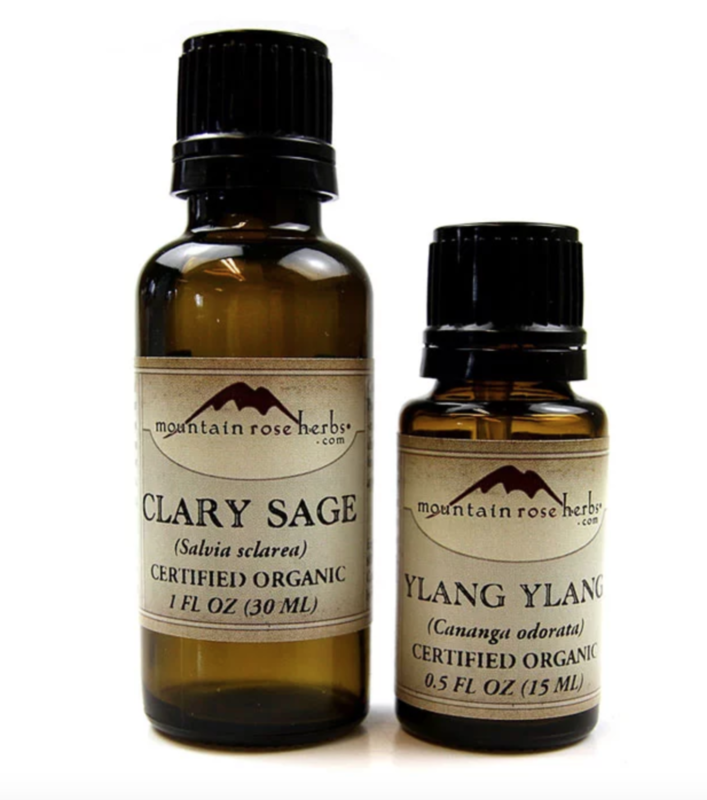 Mountain Rose Herbs uses several different methods to extract their distillates including steam distillation, cold press extraction and CO2 extraction, and employ an uncompromising quality assurance and quality control department. Their resulting oils are 100% pure, aromatic oils from a wide variety of different source plants to provide what we believe is the largest selection on the market. Despite their commitment to organic and fair-trade production practices, Mountain Rose Herbs is still able to provide a huge array of products at a reasonable price. You name the plant and MRH likely has an essential oil for it. From the more common extracts like lemon, lavender and pine, to more unusual plants like Hyssop, Manuka or Vetiver, Mountain Rose likely produces it. While their prices for the more uncommon oils are slightly higher due to their limited availability, Mountain Rose Herbs does a great job at keeping prices in affordable ranges for their customers. They don't have beginner or starter kits like many of the other companies on the list, and they don't really produce pre-made blends, but we've put together a good place to start in our full review which should be completed shortly! Eden's Garden is one of those names you just can't get away from if you've done any amount of research into essential oil manufacturers. The company has been in business for almost 20 years, improving every year on their commitments to providing a massive selection of high quality, effective oils: whether they are single batch or blended. One of the most attractive reasons to chose Eden's Garden over some other manufacturers is actually their large variety of pre-blended "synergy" oils, specifically mixed by their experts to treat and remedy almost any symptoms and maladies. Eden's Garden made a promise to their employees and customers from the outset of their business and ensure that there are zero pesticides, herbicides or any other type of potentially harmful ingredients in their finished oils. They do this by employing their "E.D.E.N.S." core company pillars/values. Each letter representing a different core value within their commitment to quality. They are committed to producing Effective oils, Dedicated and Educated employees and customers, and Natural, Safe products. All of Eden's Garden's oils are guaranteed pure and therapeutic grade, so you can rest easy knowing you're not just buying snake oil, but a product that actually works. One of the greatest differentiators of Eden's Garden from the other options is their expertly curated blended oils. They do produce single-source oils, but they also possess the largest variety of pre-blended oils of all the companies on this list, or their "Synergy" blends, as they call them. If you're looking to boost your immune system, there is the "Immunity" blend. If you want to improve your mood you can try some of their Synergy oils such as "Energy Boost," "Be Still," or even "Aphrodisiac." Other blends they produce can help treat more physical disorders such as "Anxiety Ease" for anxiety, "Head Ease" for headaches, or "Cellulite" for a topical application to reduce cellulite. Each oil is specifically mixed using plant extracts that are shown to have specific therapeutic benefits - such as pine oil containing the terpene pinene to help invigorate your mind. And, best of all, because over the last 20 years of growth, they've honed their procedures and manufacture much larger quantities, Eden's Garden oils are some of the most affordable you can get your hands on. And now we've come to Young Living... Young Living is an interesting company.. If you've done much research into learning about essential oils, you have likely come across their organization, or perhaps you know personally one of their sales reps. Young Living is a multi-level-marketing company (or MLM), also known as pyramid selling. Sales reps for Young Living have to buy the products from the company, and are not paid until they either a) sell a product and receive commission or b) recruit other reps to distribute their products. So, as you can imagine, there is some pretty aggressive marketing behind their brand and why you've likely heard of it. Now, as we will get to below, Young Living's products are actually pretty good quality, they've just performed some fairly questionable business activities: like losing a lawsuit to doTerra over trade secret theft, and direct warning from the FDA for claims their products were possible treatments for symptoms like autism, diabetes, PTSD, MS and even ebola... We certainly believe essential oils can have impressive and often seemingly miraculous effects, but they do have their limitations. We're not trying to drive anyone away from this company, we actually really like a few of their products. But, we think it's important to know about the companies you support and their actions, so you can choose where you spend your money. The one thing we will say, is that Young Living cannot have survived so many warnings and hiccups without a good quality product to stand behind. The founder of the company actually used to cultivate lavender, peppermint, sage and other herbs and distill them himself! So needless to say, the company has an imbued culture that revolves around a deep commitment to quality. The company has in place many quality standards focusing around the procurement of all raw materials from the agricultural practices to the processing practices. Uniquely, Young Living actually directly owns a lot of the farms they source their ingredients from which allows them even more control of the quality of their finished products: it all starts from the source. Young Living employs a variety of refining and distillation techniques, depending on the type of plant to be extracted from. To be completely honest, the more we researched them. we are actually very impressed with how thorough their science and quality teams have honed and audit their processes. One thing that they are still missing however is an Organic Certification. 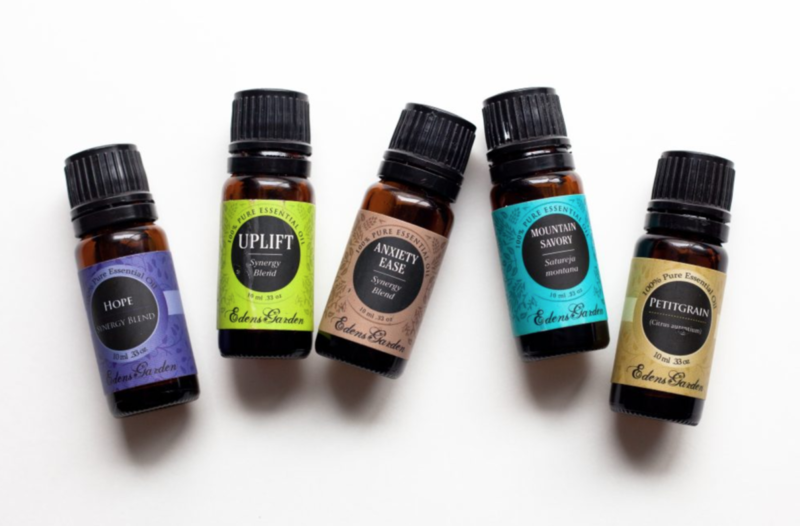 Being such a large company, Young Living has been able to diversify greatly, and now produce a wide variety of essential oils, both pure single extracts and expertly pre-made blends. Unsurprisingly, based on their founder's history with the plant, in our opinion the best oil they produce is their lavender single extract. Some of the less common oils like Black Pepper, Angelica, and Kunzea are also a few we love the smell and therapeutic effects that we don't find elsewhere. One of their most popular oils and one of our favourites is their Thieves oil, which is a perfectly balanced blend of Clove, Cinnamon, Lemon, Eucalyptus and Rosemary. It's got a ton of benefits and can be used topically or by diffusion. As far as price is concerned, Young Living actually sits on the pricier end of the other brands on our list. As with most products these days, you pay a premium for quality. Similarly to the previous company we just provided an overview for, Young Living, we have an equally ambivalent opinion of doTerra. The reason being, doTerra is also an MLM (multi-level-marketing) company, but they also produce a wide array of great quality essential oils. Many folks don't really have an issue supporting MLMs, and of those many folks, several have either themselves worked for an MLM company, or perhaps know a close friend or family member who has. MLM companies make money by selling their products to sales reps, who then distribute those products directly, entirely based off commissions, taking no regular salary from the company. This can lead to aggressive sales tactics, and often the recruitment of friends and family into also selling these products. However, doTerra is somewhat unique in that unlike many MLMs, it is possible to purchase their oils from independent retailers online, like through Amazon. doTerra was actually issued a warning from the FDA a few years back for claiming their essential oils could possibly treat or cure ebola, cancer, autism and some other conditions and diseases. While essential oils certainly can produce amazing improvements in various conditions, we only stand by their effectiveness for certain conditions - definitely not an ebola virus or autism. doTerra claims that all of their essential oils are of Certified Pure Therapeutic Grade, or CPTG. This certainly sounds both very official, and impressive, however unfortunately it's all marketing fluff. The CPTG Certification is not one that is awarded by a third party group, but one that they apply to their products internally. Now, the criteria by which they require their oils to be CPTG is still quite impressive and thorough, but it is important to understand it's not an official certification granted by a third party, such as Certified Organic certifications. In order for a doTerra product to receive its CPTG certification, the oil must be 100% pure (compounds extracted only from the specified plant), free of contaminants, fillers, artificial components, chemicals and pesticides. As well, all doTerra oils are tested using mass spectrometry and gas chromatography which are techniques used to validate the purity and composition of the aromatic compounds and essential components of the oil. Now, while doTerra doesn't have its oils tested by a third party doesn't mean you shouldn't trust what they're doing internally, since most essential oil companies aren't required to have these tests done. We know from first hand experience that their oils are great quality! We just don't personally support MLMs, and to each their own! Being a larger manufacturer, doTerra provides a large selection of oils, more than 50 single extract oils, in fact. These single extract oils are sourced from all over the world, in order to procure high quality raw materials for their processing methods. This includes sandalwood from both Hawaii and India (which we prefer to the Hawaiian) and even Siberian Fir. 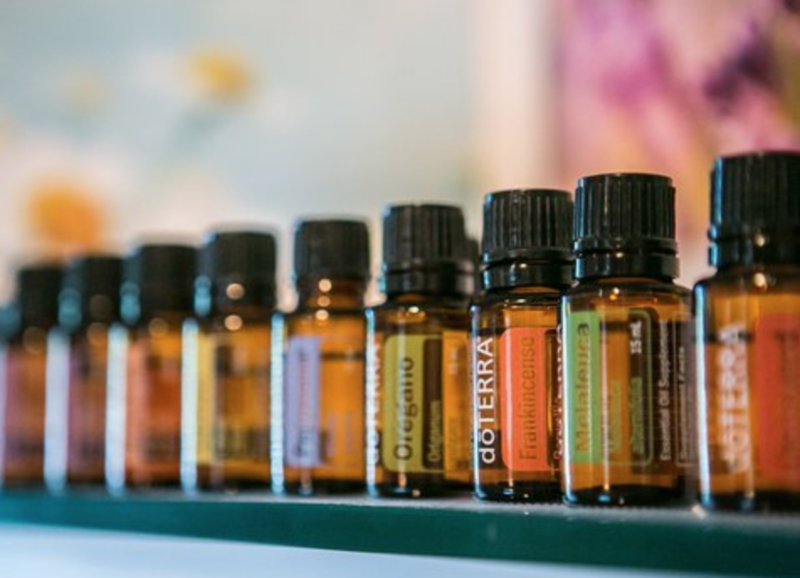 In addition, doTerra also produces a number of pre-blended oils that can be used for a variety of uses from cleaning to diffusing to topical use. 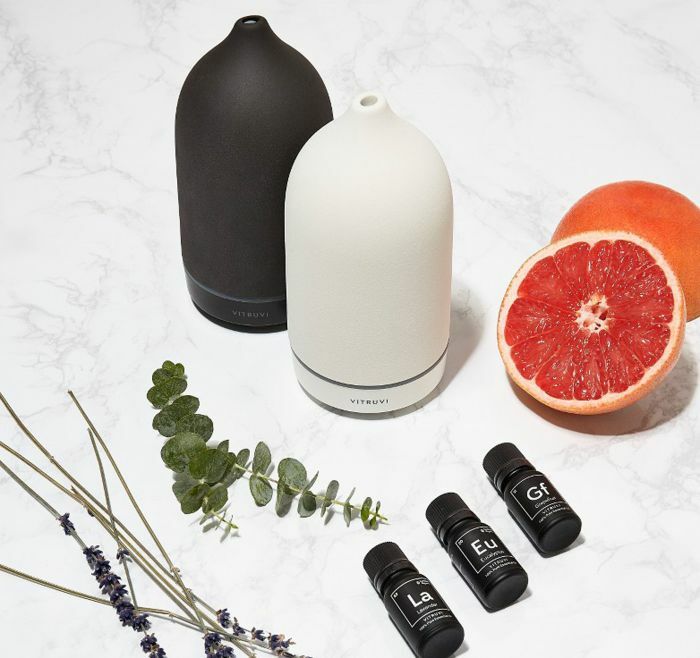 We absolutely love their Breathe respiratory blend in the winter when feeling a little congested, and their Motivate encouraging blend is great to diffuse in the office to promote creativity and focus. All of doTerra's thorough sourcing, procedures and testing do add up operationally, resulting in a more expensive oil than some other companies on the list. But, like we have said many times before you get what you pay for. Since we all look for something slightly different in our oils, and have different budgets, if you're torn between doTerra and another company, we suggest buying one of each and comparing which you prefer yourself! There are so many therapeutic benefits to essential oils, they're almost hard to remember! Whether you are diffusing, applying topically (after diluting) or using in some other way, you're bound to improve your life with EOs. From bug repellent to anxiety reduction, they have such a wide range of applications, and every oil is unique! If you want to learn more about the benefits of essential oils, swing over to this article and have a read! So you've chosen a brand, bought some oils... now what? There are so many ways to use your oils it can be a little overwhelming. We've put together a concise guide to help you find the optimal way to get all the benefits of these incredible compounds! If you want to learn more about essential oils, great! The journey to discovering the countless benefits of EOs is never ending, and it's an exciting one to begin! 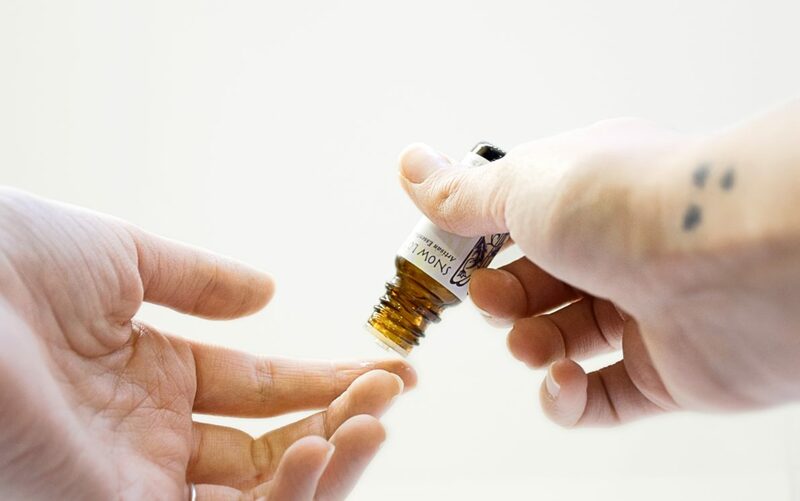 We'd love to help in any way we can, and the best place to start is our comprehensive guide to essential oils which you can check out here.